-The narrow racing seat places your knees closer together to hold on tighter while improving the transition into standup riding. Plus, the removable rear seat gives you even more space for hanging out on the rear platform, sunbathing or a face-to-face picnic. 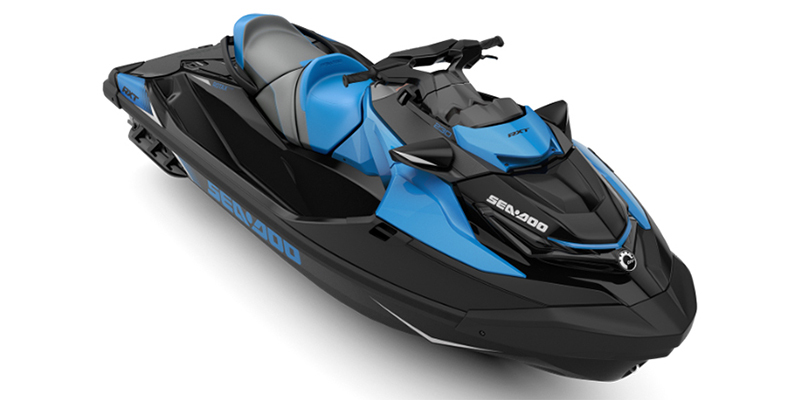 -The first watercraft to hang out on the water with the largest swim platform in the industry. Flat, stable and comfortable, it is ideal for boarding, lounging, and prepping for tow sports. Create even more space by removing the rear seat. -Whether you're at high speeds pounding rough offshore waters, at rest hanging out in a cove or you're simply boarding from the side, the wider hull offers industry leading stability thanks to a lower center of gravity and improved hull design. -All your gear is now within arm's reach. The industry's first direct-access front storage opens by simply raising the handlebar assembly. No standing required. It's the smartest water-resistant storage we've ever built into a watercraft, offering room for your next adventure. -Extra rear storage is now possible with the secure Quick-Attach LinQ System. It allows to easily snap a fuel caddy and a bag, or a cooler, to the back of your watercraft using two convenient, integrated attachment points. -A watertight compartment with integrated USB port* allowing your devices, including phones or action cameras, to stay charged and ready to go--snug in an impact-absorbing, watertight cradle.